The word, “Osmothèque”, is composed of two Greek words: “Osme” meaning “scent” and “theke” meaning “storage space”. So, here’s your chance! L’Osmothèque, that venerable French institution, no less than the moral and physical Guardian Angel of perfume, is opening its doors and its perfume cellar to the public on Saturday, September 20th. Throughout the day some of the world’s greatest perfumers (noses) will be on hand to initiate you into the rare and magical world of perfumerie, the invisible art of olfaction. Among them will surely be the perfumers of some of your favorite fragrances — past and future. In addition to an exceptional and privileged opening of L’Osmothèque’s world-renowned perfume cave (housing rare and extinct fragrances) you can participate in a number of hands-on activities, including a series of 5 mini-workshops spanning perfume history from ‘La Belle Epoque’ to the arrival of ‘niche’ (alternative) perfumerie at the end of the 20th century. This is truly a chance of a life-time, so get yourself organized. Since many of you are Parisians or visitors to Paris (and like myself, sometimes hesitant about venturing to extra-muros Paris) I’m including instructions (below) for getting to L’Osmothèque by public transportation. For those of you with cars, the best way to get there is simple: key the address into your GPS, get in gear, and drive! See you there. I promise you, it will be an unforgettable experience that might even change your life! 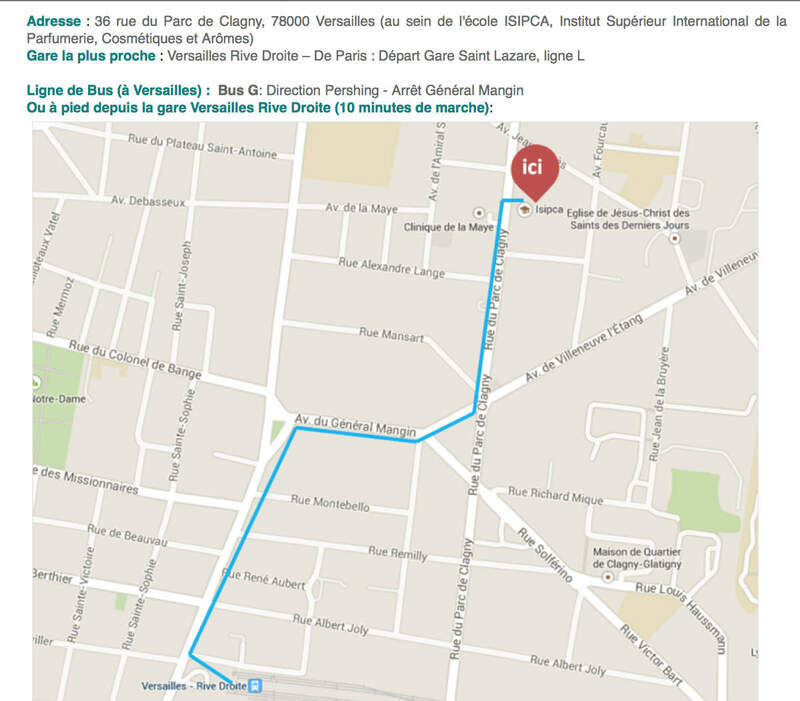 When you arrive in Versailles you can either walk the 12 minutes to L’Osmotheque (my recommendation — see map below) or take a taxi.